Summer is for fun and outdoor activities. 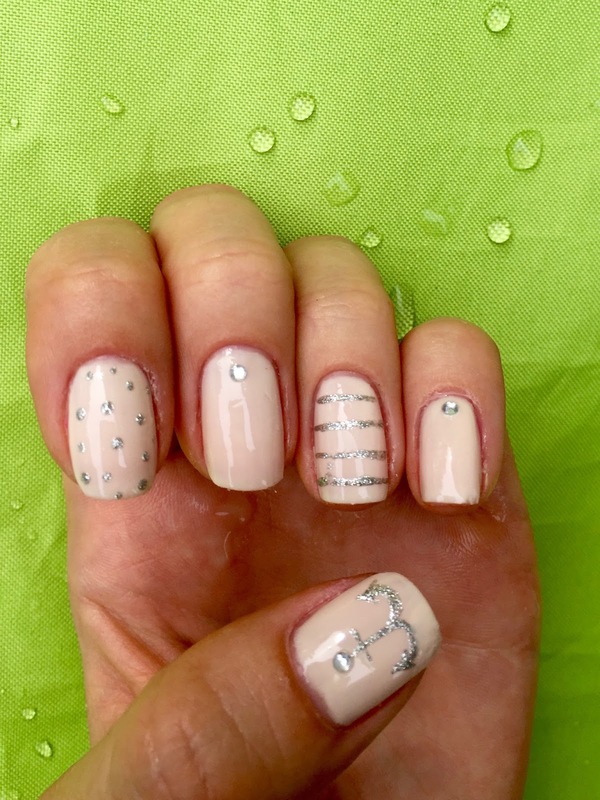 So, obviously you don't want to be stuck at home doing complicated nail art. In this post I will show you design that you can do quick, but it still looks interesting and fun. Apply base coat and than three coats of Milani 03 Lady-like sheer. PS If you know nail polish that looks like this or any off white color that you don't need three coats, let me know in comments below. Put a dot of clear nail polish on little and middle finger and put rhinestone. Press rhinestone into nail, it will mold into nail polish and stay longer. 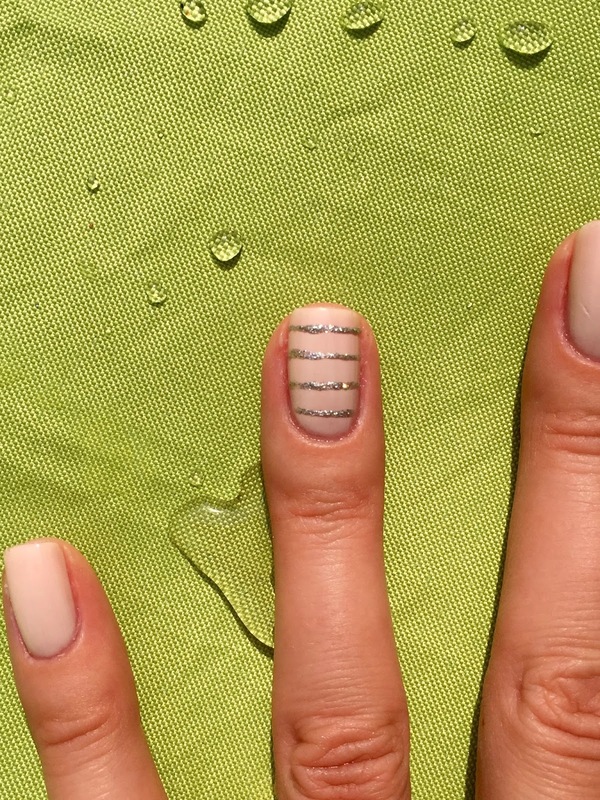 Use silver nail polish from Kiss Nail Artist Manicure Design Kit to paint stripes on ring finger. Use dotting tool to apply dots with the same silver nail polish. 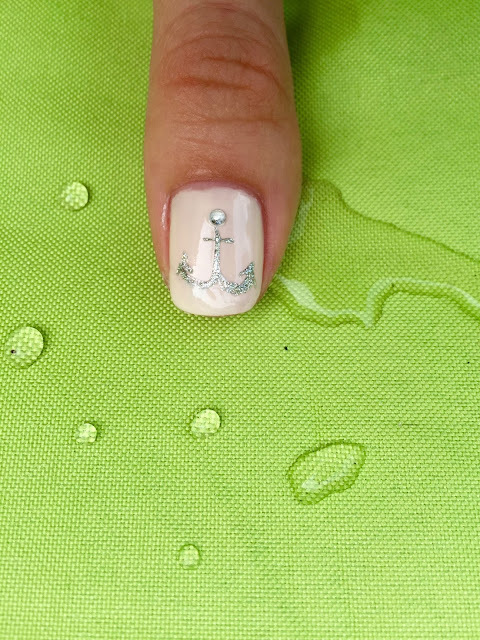 If you feeling adventurous try to paint an anchor with thin brush. If not just put rhinestone as you did on little and middle finger. Don't forger base coat. Also try fast drying one, because summer is not gonna be here all year.